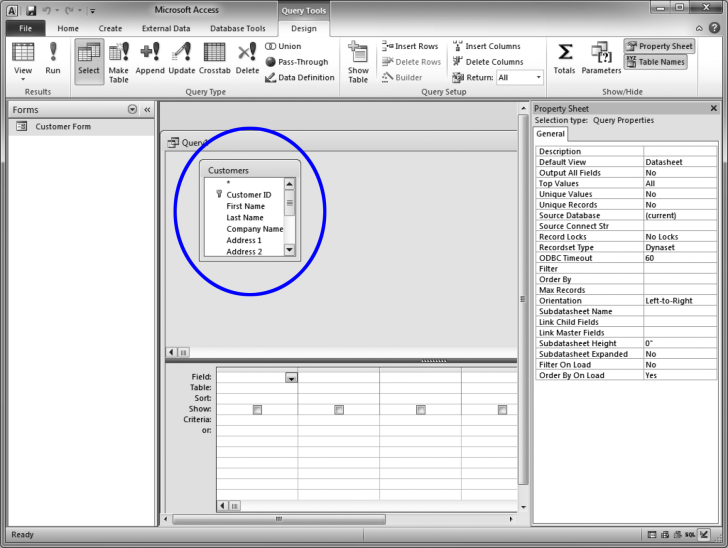 3 In the Show Table window, click Customers, then click the Add button. 4 Click the Close button. This adds the Customers table to the query.